Disclaimer: This post contains nothing directly related to yoga, Ayurveda or health. But, if you’re willing to look under the surface, you’ll see that it’s about something that is part of my yoga. And maybe you’ll be prompted to look more deeply into what is your yoga. On & Off the Mat. I’ve always had good taste in music (if I may be so bold as to make that proclamation.) The first three albums I ever bought (at the same time) were Some Girls by the Rolling Stones, 52nd Street by Billy Joel and Night Moves by Bob Seger. Ok, you might not think those are the the greatest albums ever, but for a 13-year-old in 1978, it was pretty damn progressive. Consider that most of my friends were listening to Sean Cassidy and the Partridge Family. Music has always been a part of who I am. I’ve always had a bit of an obsession with it. I started subscribing to Rolling Stone in 8th grade. My album collection (yes, vinyl. I’m that old!) numbered in the hundreds by the time I got to high school. While my friends walls were plastered with posters of Andy Gibb and Donny Osmond, mine featured Mick & Keith and the boys, as well as Led Zeppelin, Neil Young and Jackson Browne. While my girlfriends were emulating Olivia Newton-John, I wanted to be a witch, like Stevie Nicks. I spent my college years in Burlington, Vermont and got turned on to a few different types of music. Reggae was big there, as was the Grateful Dead. Oh, and did I mention that I went to college with and was in the same year as all the guys from Phish? They’d put their hand-drawn flyers on all our dorm doors inviting us to watch them play on weekends. 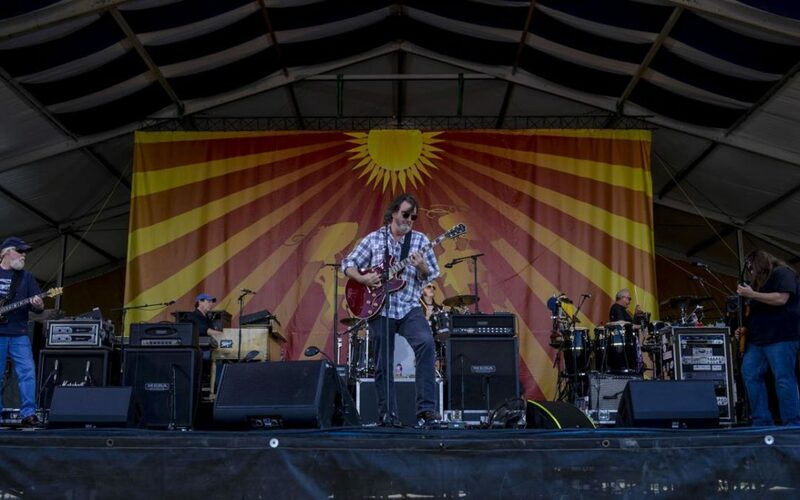 And I remember seeing a little-known band called Widespread Panic open for Blues Traveler. Music remained part of my life when I moved to Colorado. My first show at Red Rocks (the best concert venue on the planet, IMHO) was Reggae on the Rocks in 1993. I saw Merle Saunders at Turquoise Lake (literally, in the middle of the woods), at 12,000 feet, above Leadville. But, then something happened. I got married, and my husband wasn’t into music or concerts. And I just kind of stopped going. It wasn’t that Brian didn’t want me to go or would have tried to stop me, but you know how it is when you’re married. You hang out with your spouse. And you make compromises. Sometimes without realizing it. So, for almost 20 years, music was back-burnered. I did drag him to see a few legends – The Stones a few times, The Who. Can you imagine having to be dragged to see the Rolling Stones?! He also had the TV on a lot, so I didn’t listen to much music at home either. I honestly didn’t even realize this was happening. My friends did. They invited me to go to Panic or the Dead or Phish every year. I didn’t go. Then, a funny thing happened after my divorce. I started to embrace my musical self again. I started going to concerts and playing music in my kitchen and boogying while cooking and doing dishes. It was like meeting a part of myself that I had lost for two decades. 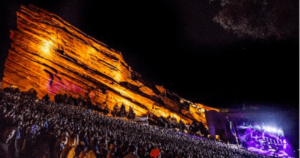 I’d drop my daughter off at her Dad’s and head off to Red Rocks for a weekend of shows, and he’d say, “Aren’t you a little old for this?” Too old? Too old to feel my spirit soar? To old to dance until my legs hurt? To old to commune with people who feel the same as I do about music? Never. Well, if there is a yogic lesson in this post (I know, you expect one), it’s this – Do what makes your heart sing. If there is a part of you that is full of passion and brings you joy that has been buried in the busyness of adulthood, if you’ve suppressed some part of you because you think it’s not useful, or mature or doesn’t fit into your life as a grown up, unearth it. Live it. Live your bliss and don’t let anyone tell you otherwise. If you’re one of my readers, I assume that you are interested in taking care of your body. Most of my blogs are related to health, in some way, shape or form. I’m sure you’ve probably also heard the overused phrase about taking care of our mind, body and spirit as well. But that’s not just new-agey mumbo-jumbo. According to Ayurveda, we are all made up of five bodies, called koshas. Kosha translates to sheath, because each body is sheathed within another. 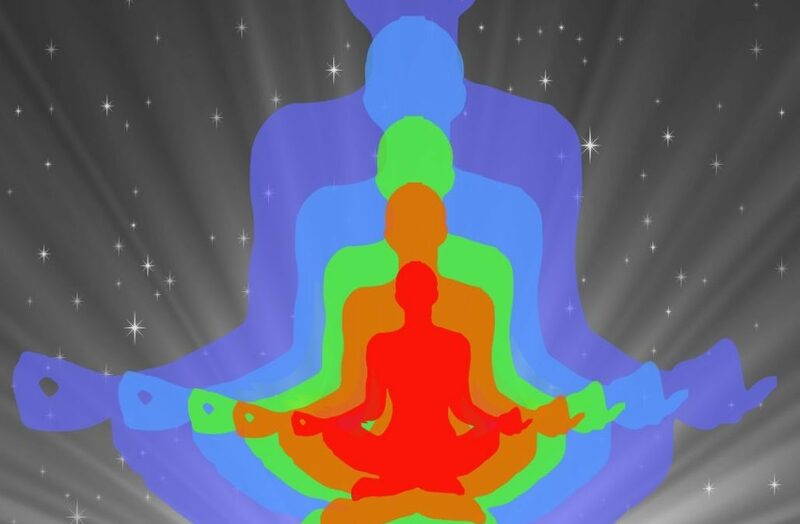 All of the bodies are interconnected, from the outside in and from the inside out. They all require care. If any are neglected, we cannot live a life of balance, ease and joy. Any one neglected kosha, blocks access in both directions. The outermost layer, the Annamaya Kosha, is the physical body as we know it. It is our muscles, bones and organs, as well as our appearance. Annamaya Kosha translates to Food Body, because it is sustained by food and requires nutrients. It is the grossest of the bodies. (Not gross as in disgusting, but gross as in solid or dense). We take care of our physical body by eating a healthy diet, exercising appropriately, staying hydrated, sleeping well etc. The physical body is the base. If it is unhealthy, it is very difficult to access and balance the inner bodies. If you are a yogi, you’re probably familiar with the word prana. It means energy or life force. It is carried on the breath. The energetic body is more subtle than the physical body, but it can still be felt as a physical sensation. When energy is full and balanced, we feel good. We are awake, focused, active. Neither lethargic nor scattered. We connect to our energy body with our breath. How lovely and relaxing does a deep breath feel? To access our pranic body, we can simply move our body until we are conscious of our breath. Take a brisk walk or jog and breath deeply, do some sun salutations and sync breath with movement, get out in nature and breathe in mother nature’s fresh air. This body is so important that an entire limb of yoga is dedicated to it – pranayama, or breath control. We can’t see or grasp the energy body, but we can feel it, in ourselves and others. By the time we hit mid-adulthood, we’ve all got emotional baggage. We’ve had trauma. We’ve lost loved ones, lost jobs, been hurt by people we trusted. Maybe we’ve been divorced or widowed. Many have had serious injury or illness. If we’ve lived for more than 4 or 5 decades, we’ve got baggage. It’s not about how much baggage you have, it’s how good a baggage handler you are. We can use our traumas and experiences to grow our wisdom and become more skillful at life. Or we can do the opposite. When we do the opposite, we are attempting to protect ourselves, but what we are truly doing is limiting our potential. We put up walls to keep ourselves from being hurt, but the result is, we don’t truly live. We react with anger, when what we really feel is fear. We avoid people who push us out of our comfort zone. We feign independence when what we really want is love. We use alcohol, weed, social media, food etc., as distractions to avoid feeling our real feelings. What’s wrong with doing that? Well, besides the obvious answer of we never live our lives fully, we cannot access our higher, innermost layers. You see, the five bodies build upon one another. We start with the Annamaya Kosha, the food body, because, we literally cannot live without food and physical health. Nor can we survive without the breath, or prana. We can survive without taking care of the Manomaya kosha, but our existence will be fraught with stress, drama and unhappiness. How does one optimize the Manomaya Kosha? Have you ever wondered why you keep getting yourself into the same negative situations? Bad jobs, difficult personal relationships etc. If so, it’s time to look at your emotional body. The job of a yogi is to master our emotions so they don’t master us. Do you run away or lash out when confronted with difficult emotions (yours or someone else’s)? Next time that happens, try to just stay with the emotion. Don’t react, just feel it. Go back to the first two bodies. How does this emotion feel in your physical body? How does it feel energetically? What is it doing to your breath? As we become more skilled in feeling our emotions, we can begin to truly understand them, and respond appropriately, rather than reacting. Meditation is a great tool for strengthening this body, as is pratyahara, the practice of sense withdrawal. Simply taking time to step away from sensory stimulus for a little while each day, does wonders to balance our emotions. As we work more and more with our mental/emotional body, we gain access to the Vijnanamaya Kosha. We might start to notice our thoughts coming from a deeper, subtler level of our being. We are connecting to our intuition, or inner wisdom. We all have the ability to access this body, but it does take some work to get there. We all have intuition, but we don’t always listen to it, or even recognize it. If we haven’t done the work on our mental/emotional body, we will not be able to access the intuitive and we will not cultivate wisdom. We can all probably think of examples of when we ignored our intuition. Taking a job that looks good on paper, but you just have a feeling isn’t right for you, is an example of ignoring intuition. Any time you say to yourself, “I knew I should/shouldn’t have done that!” Is an example of ignoring your intuition. A deeper meditation practice, spiritual study and a deep desire to know one’s self will strengthen this sheath. Noticing our gut feelings and honoring them, will grow our intuition. The Bliss body is most etheric aspect of the self. Every level of happiness, from full-blown ecstasy to simple contentment is connected to the Anandamaya Kosha. It is aligned with our soul’s desire, purpose, and living our dharma. The Bliss Body is related to enlightenment. But, getting there is not a goal that we can set and achieve. Only mystics, saints and sages are generally able to access this body on a regular basis. For the rest of us, it is a place that we pulse in and out of. We’ve all had glimpses of it. The feeling of being in love or holding our new baby. I’ve felt this feeling skiing; standing on top of a mountain and gazing at the utter beauty of nature. I’ve also felt it in music; dancing at an outdoor concert on a summer evening and getting totally enveloped by the sound. I don’t think it’s possible to give specific directions on how to access our bliss. But, I can certainly give you some ways to guarantee you’ll never get there. Hold grudges, carry resentments and anger, blame others for your woes, be dishonest with yourself and others, suppress your emotions. The best advice I can give someone looking to access the Bliss Body, is to work on the other bodies. All of them. You can’t skip one. A healthy body and a closed heart will not bring you bliss. Intellectual knowledge without connection to spirit will not get you there. Spiritual devotion without physical health won’t cut it either. The Koshas are all part of us. Just as we can’t ignore one arm and have a full life, neither can we ignore one of these bodies. If you’ve been neglecting one, or several, make a concerted effort to work with your neglected parts. I guarantee you’ll feel better. And you might just get some bliss. Every Spring (and some Autumns) I write a post about detoxing. You can read last year’s post on my blog. As a student and teacher of Ayurveda, I have a lot of experience with seasonal cleanses and detoxes. Ayurveda generally recommends a cleanse/detox/reset twice a year – during the juncture of winter and spring, and again as summer turns to fall. There are many reasons to cleanse once or twice a year and there are equally as many ways to go about it. Why do we cleanse at seasonal junctures? Let’s illustrate this by looking at how we feel at the end of winter. We have likely been eating heavier foods for a few months, a natural phenomena in winter. Maybe we’ve been exercising less due to lack of outdoor time. Maybe we’ve put on a few pounds. We could have gotten sick once or several times during the winter. We might feel tired and a little sluggish. We’re ready to throw off the heaviness of winter. As we head into spring, it’s time to lighten up our diet. In days of old, this happened naturally; our winter stores of food were running out and the greens of spring were yet to burst through the ground. We don’t have that natural feast/famine cycle anymore. We have all the feasting, but we have to consciously bring in the famine part – the cleanse. (Please don’t be panicked by the word famine.) A seasonal detox does not have to mean starving. We need to give our digestion a break, to rev up our Agni, or digestive fire. We need to replenish our Ojas, which is related to our immune system – especially if we’ve been sick. 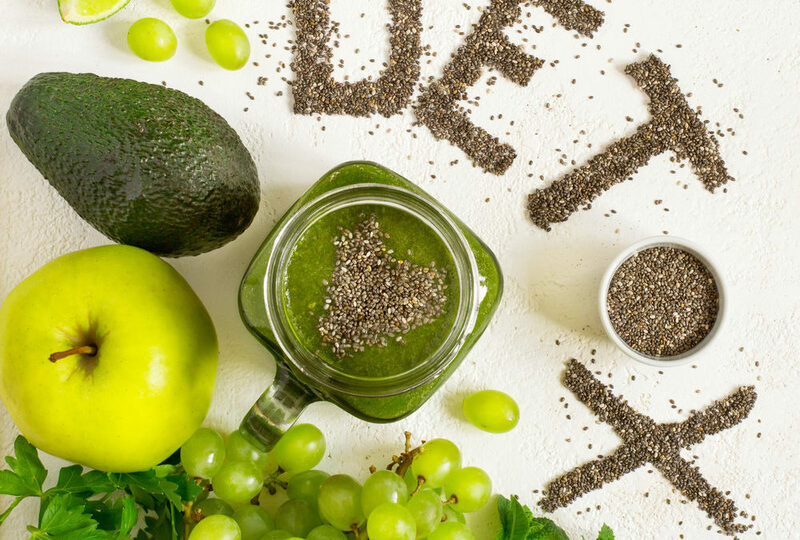 Just as there is no one-size-fits-all diet, there is no single detox that works for everyone. The traditional Ayurvedic detox is a kitchari monodiet, which is great for those with depleted immune systems, leaky guts and lethargy. It’s good for vata types, in general. But, it may not be the best for those with a sluggish digestion or those who have difficulty digesting beans or grains. A juice fast is great for a kapha type or someone who wants to lose weight, but might be too extreme for someone who is under stress or feeling depleted. For some, just cutting out junk food and snacking is enough of a detox. And all this only covers the food aspect of detoxing. Detoxing can and should involve rest, downtime, connecting with nature or spirit, detoxing our space and relationships as well. My post from last year goes more into the non-food aspects of a cleanse. As my spring detox rolled around this year, I had to admit to myself, that I really hadn’t done a true detox since the spring of 2016. I did the Master Cleanse that year and although it was a good cleanse, I got horribly sick afterwards. According to my Ayurveda teacher, I was so full of toxins, that the sickness was necessary. Shortly after that cleanse, my father died. That fall I moved across country and just never got around to a fall cleanse. There was just too much upheaval in my life. I planned a better cleanse for the spring of 2017, once I was settled in my new home. Sometimes, the best laid plans don’t happen though. In early 2017, my daughter’s father died. Now I was in double-grief. I don’t even remember if I tried to do a cleanse that spring. After that I did a couple of mini-cleanses, but was always left feeling unsatisfied, like I hadn’t really accomplished what I set out to do. But by early 2019, my body was craving it. I knew I needed a big cleanse. So, I decided on a modified fast. Five days. It was tough, but great. I had some bone broth, some green juice, a few fat bombs, some sprouts and a couple handfuls of nuts that week. I exercised normally. I went to work. I slept well. I lost 7 pounds. Sometimes I was hungry, sometimes not. Sometimes I was crabby, sometimes not. I went to hot yoga. I sweated. I smelled bad. The toxins were pouring out of me. I didn’t get to the fasting euphoria that I’ve felt on prior fasts, and I was ready to be done when I was done. And I was 100% satisfied with it. And what’s come from it? I still feel lighter and more focused. My appetite continues to be smaller. I’m practicing intermittent fasting most days. I’m not craving sugar. My salt craving is returning, but that’s always been stronger than any sugar craving for me. I am now doing a 24 hour fast once a week. Sunday dinner until Monday dinner. I lift with my awesome trainer (Thanks John!) on Monday mornings and go to hot yoga on Monday evenings. This process actually turns Monday into one of my favorite days of the week! If you haven’t tried a cleanse or detox (BTW, I use those words interchangeably), I encourage you to do so. I’d suggest an organized, group cleanse with an experienced leader if it’s your first time. There are plenty online and many local yoga studios and healthcare providers offer them. But, you can certainly do one on your own. Remember, there is no single way to do this. Let me know how it goes!